What foods are traditionally eaten at Easter time? 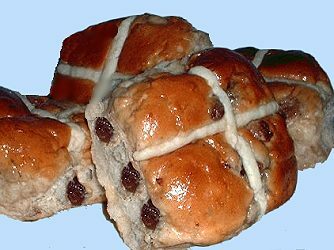 Hot Cross Buns are traditionally served on Good Friday. A Hot Cross Bun is rich, spiced tea cake. Easter day, like Christmas day, is also associated with special food. The Simnel cake is a fruit cake with a flat layer of marzipan (sugar almond paste) on top and decorated with 11 marzipan balls representing the 12 apostles minus Judas, who betrayed Christ. 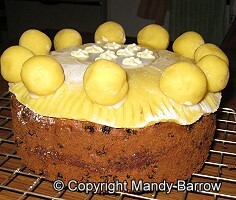 Originally the simnel cake was a gift to mothers on Mothering Sunday in Mid Lent.